Everyone -- perhaps especially families with children -- likes to dine at a casual restaurant, diner, or drive-in on occasion, particularly on a vacation. Massachusetts has plenty of great restaurants serving American and traditional New England food that serve inexpensive and good food. Seeking a spot to unwind with a meal after a busy day? 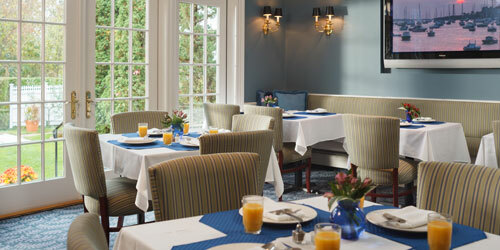 A comfortable atmosphere for breakfast with the family before setting out on a vacation day? Or maybe you want to sip a post-round cocktail on the deck overlooking the golf course. Look no further than Sloane’s Tavern at the Cranwell Resort, where New England favorites and locally sourced ingredients offer the complete casual dining experience. Tuck into a vegetable frittata at breakfast. Sup on clam chowder, homemade chili and fresh salads at lunch. 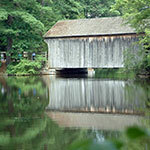 Try the shepherd’s pie or glazed salmon at dinner (and don’t forget the New England sticky toffee pudding for dessert). The restaurant has a children’s menu, gluten-free options and a takeout menu for poolside dining. In today’s over-saturated and often overthought dining scene, Pigeon Cove Tavern is characterized by its commitment to quintessential New England fare done right. Chowder, lobster rolls, and other local favorites make the tavern the perfect meeting place for any occasion. From our ocean view veranda, soaking in the breathtaking views with a refreshing cocktail, fine wine, or craft brew and relax in the cool ocean breeze. The breath-taking views and creative approach to local cuisine draws people from across the region, while the warm, genuine hospitality brings them back time and time again. 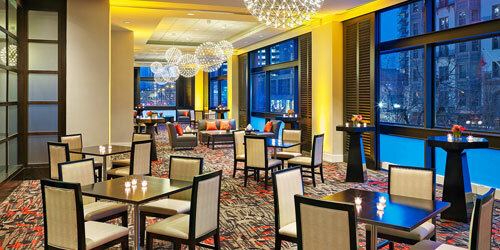 For casual dining downtown, the Westin Boston Waterfront can't be beat. The hotel includes four great establishments. Sauciety, open for breakfast and lunch, is a modern American grill with a twist: we feature a selection of meats and fish that are pan-roasted or grilled; you customize your meal with a variety of flavorful sauces, spreads, and chutneys. MJ O'Connors is an Irish pub with an emphasis on seafood. Favorite entrees: butter poached lobster and steamed mussels in Thai curry sauce. City Bar Boston Harbor features a wide assortment of great whiskeys, and a menu that includes duck-comfit spring rolls and house-made potato crisps. Birch Bar, a waterfront bar, offers seasonally-inspired cuisine, made with fresh locally-grown ingredients. Find late-night menus at City Bar and O'Connors. 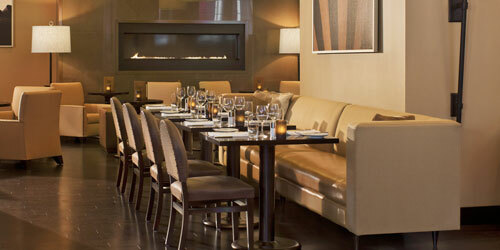 Cool and intimate....warm and comfortable...the Grand Cru Wine Bar & Grill. For a drink...for dinner...for innovative jazz or popular music every Friday and Saturday night. In the warm, Mediterranean-style ambiance, sample an extensive list of carefully selected fine wines from around the world... by the taste, glass or bottle. Enjoy Martinis, classic cocktails and much more. Our menu features creatively prepared cuisine with appetizers such as Crab Cakes and Lobster Arancini; fresh salads like the Cru Chopped Salad; delectable entrees include Pan Roasted Salmon, Wagyu Beef Ravioli, New York Sirloin au Poivre and unique grilled pizzas like the Shrimp, Mascarpone and Basil pizza. Open Wednesday through Sunday at 5:00 pm and nightly in-season. Outdoor deck. Small plates to nosh, warm friendly service, there’s always a reason to stop in. Open nightly ‘til 2am. City Table’s free spirited approach to the menu allows guests more freedom to share and try a wide offering of starters, entrees and sides that put a creative twist on classic American fare. We embody a casual approach and an emphasis on fresh and organic ingredients. City Table is an intimate gathering spot for pre-dinner or after work with an extensive beverage list featuring a variety of traditional cocktails and signature libations along with one-of-a-kind martinis and an impressive wine list with many selections available by the glass. City Table’s full menu is served until 1am daily with cocktails until 2am. In the top 1% of restaurants in the country! As recipient of the DiRona Award (placing it in the top 1% of restaurants in the country) and Wine Spectator’s Award of Excellence, the Dan’l Webster is home to one of the region’s most acclaimed wine cellars. Enjoy fine dining in the romantic intimacy of the Music Room or perhaps the sun or moonlit Conservatory. 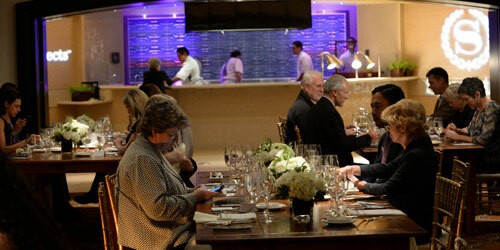 The menu’s distinctive selections represent traditional and contemporary tastes. Menu selections are true classics such as juicy Roast Prime Rib and Native Haddock; a Green Palate Menu features organic selections; and the Early Evening Prix Fixe, 3-course Dinners are only $24. 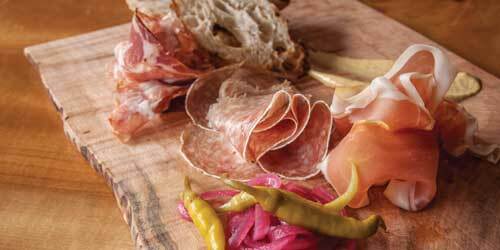 For casual fare, the Tavern at the Inn features lighter menu items and wood-grilled pizzas. Desserts are fresh daily. A delicious breakfast menu is served every day and Sundays feature a beautiful Brunch Buffet. 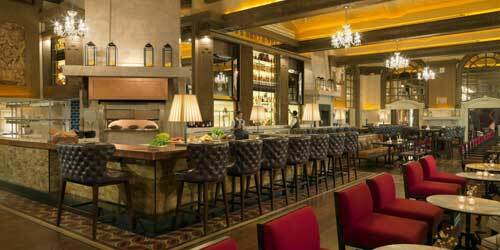 OAK Long Bar + Kitchen, is the stunning new Boston restaurant in the heart of Back Bay. Sip a hand crafted cocktail. 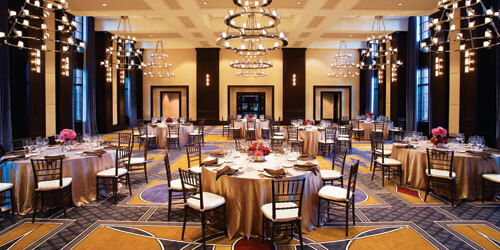 Savor the dramatic results of an extensive restoration and each thoughtfully curated detail. 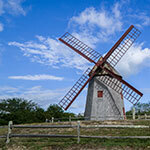 Sample a farm to table American menu featuring local ingredients and purveyors. From charcuterie and local cheeses to pizza and small plates to grilled meat and fish to the perfect burger, taste and enjoy OAK Long Bar + Kitchen. Serving: Breakfast, Brunch, Lunch, Dinner, In Between and Late Night. 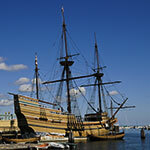 At the Salem Waterfront Hotel & Suites, on beautiful Pickering Wharf, dining is part of the experience for guests seeking a relaxed time away from it all. 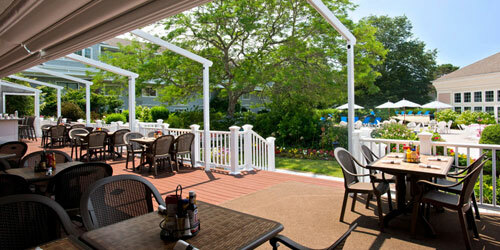 At the hotel’s Regatta Pub Restaurant, the day begins with a hearty breakfast, from pancakes to lobster omelets. The lunch and dinner menus offer classic dishes like burgers, fish and chips, a seafood Cobb salad and, of course, New England clam chowder. 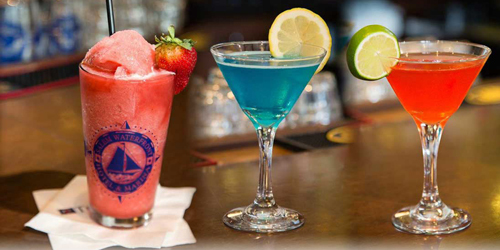 For guests seeking to unwind with some liquid refreshment, the pub features a range of wines and brews as well as signature cocktails including frozen drinks, creative spins on martinis and, in a salute to historic Salem’s past, a wicked rum punch. Room service is also available. 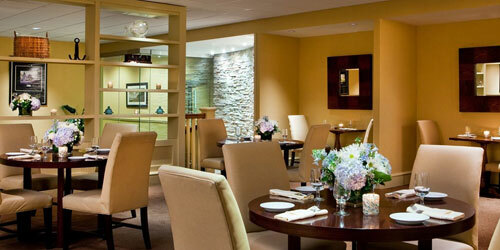 Dine casually in one of the most romantic Inns in America in one of the most beautiful small towns in America. 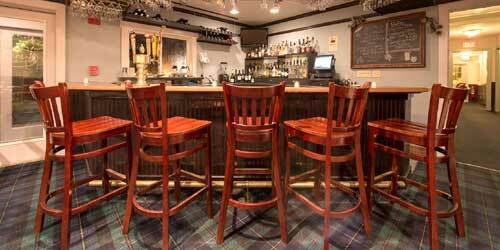 Located in the heart of historic Marblehead’s harbor the intimate and popular tavern is open to the public and serves an extensive list of fine wines, beer, cordials and house specialty drinks and is the perfect spot for relaxing during or after an evening out. You’ll also find a limited but high-quality menu highlighting favorites like shrimp and corn chowders, cheese and fruit platters, Maryland crab cakes, shrimp cocktail, grilled Panini and great burgers. Guests staying at the Inn can also enjoy the extensive continental breakfast buffet served in the dining room each day with a special smoked salmon platter available on Sundays. When you walk through the front doors, you can see that Hotel on North in a place of understated sophistication. Things are simply done well, without pretense. Similarly, the hotels’ Eat on North is a casual restaurant where fresh, uncomplicated food from local ingredients is served proudly by Chef de Cuisine Ron Reda. 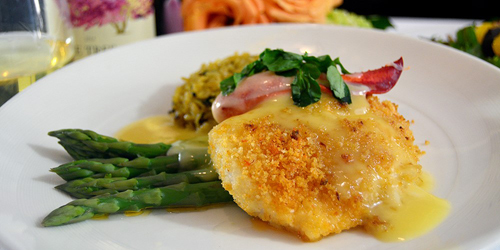 Menus present tasty American cuisine for breakfast, lunch and dinner. Small plates, large plates, snacks, and other options satisfy every appetite. A very cool oyster bar with views of the lobby and the hotel’s coming and goings serves delicious shellfish and oyster samplers; cured meats and cheeses. A kids menu corrals the taste and needs of young ones on a family vacation. Breakfast, lunch and dinner are served daily. 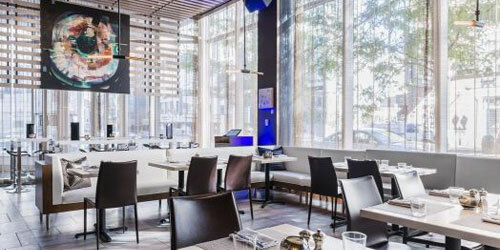 But there’s more at this elegant Boston hotel – popular drinking and dining establishments that offer cuisine and atmosphere that’s everything from casually sophisticated, sultry and seductive, to lively and reinvigorating. 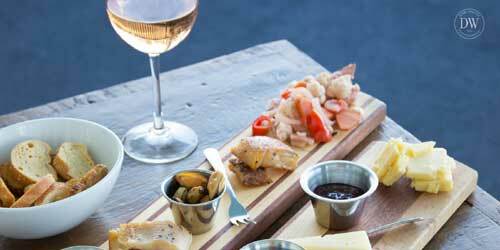 CLINK's new American menu is a selection of tapas-style plates. 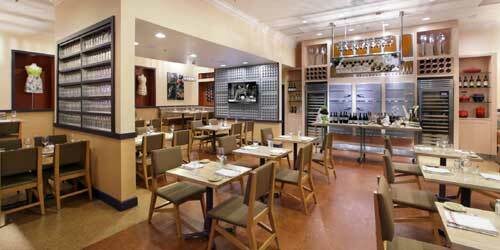 Scampo's award-winning chef pairs simple rustic food, chic Italian design and a glorious open kitchen. Catwalk, the Liberty’s newest bar, is a hotel-guest only space that floats above the striking lobby. Dinner service and the upscale bar menu feature small plates including Sashimi of Yellowtail with Black Garlic Ponzu and Sichuan Peppercorn Spiced Peanuts; and a twist on the classic with Ralph’s Potato Chips with Smoked Truffle Salt. 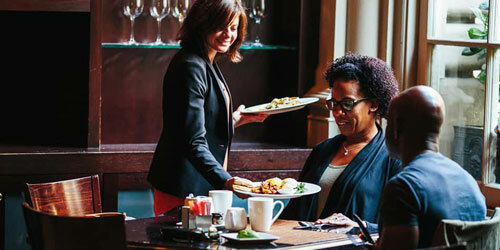 For casual dining in Boston's toney Back Bay, head for the Westin Copley Place Hotel, which features several restaurants with distinctive cuisine. Fogo de Chão Brazilian Steakhouse is a dining adventure, with gaucho chefs preparing 16 different cuts of beef, pork, lamb, and chicken. Try the Picanha, the signature steak, prepared with traditional light seasoning, or with a more robust garlic seasoning. The newly-opened ShabuMaru Restaurant features a unique and healthy Japanese hot pot dining experience unlike anything else in Back Bay. For breakfast, head to The Huntington Boston, open every day from 7 a.m. to noon. Menu favorites include smoked salmon benedict and smoked brisket breakfast tacos, made with avocado and charred tomato salsa. 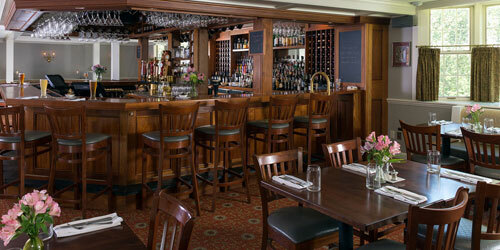 Bar 10 Boston is the place for a civilized nightcap or a light meal. 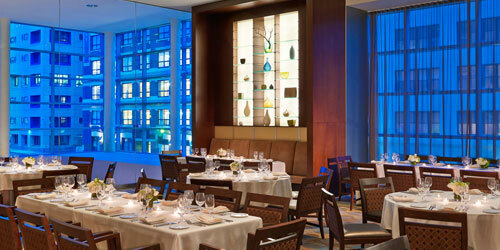 One reason the Sheraton Boston Hotel stands out are the great restaurants. Cafe Apropos, open from 6:30 a.m. to 11 a.m. (and 12 p.m. Sunday) is the place for breakfast or brunch. Enjoy a Belgian waffle with Vermont maple syrup, strawberries, and whipped cream, or Irish steel-cut oatmeal with sundried cranberries and chopped almonds. The atmosphere: casual and comfortable. Come to Side Bar and Grille, a casual eatery, for lunch, dinner, or a late night drink or snack. We're open until 2 a.m., and food is served until 12:30 p.m. Popular lunch menu items include the salmon BLT, made with Atlantic salmon and applewood-smoked bacon, the New England lobster roll, and the Reuben panini. There's also a Starbucks next to the lobby, with free wireless Internet access. Central to its place and reputation in town and local history, is the inn’s food philosophy of eating the view. Champney’s Restaurant & Tavern offers twelve draft beers, a good wine list, house infusions, and creative cocktails. Comfortable seating, cozy corners, fireplaces, welcoming staff, and an 18-seat mahogany dining bar invite you to gather and linger. The Chef runs a scratch kitchen and supports farmers’ markets, family farms, and other area sources of sustainably-raised food and natural produce. Gather at this New England table to enjoy a relaxed and happy ambiance, and to celebrate local purveyors and local products and taste the difference in an authentic field to fork menu. At TradeWinds Restaurant and Lounge, our award-winning Executive Chef prepares new American cuisine ranging from seared diver scallops to braised short ribs to house-made burgers, grilled flatbread pizzas and panini’s. Featuring an expansive bar, comfortable couches, flat-screen TV’s, a double-sided fireplace, and semi-private space available for groups or events. Serving breakfast, lunch and dinner daily. Conveniently located at the intersection of I-95 and Rt. 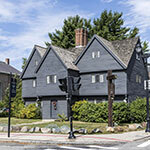 1 in Danvers, MA, a short drive from historic Salem and all of the North Shore area attractions. 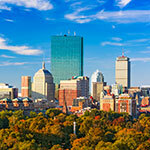 Dine casually and participate in a variety of social activities at this hotel in historic Boston. Mix and mingle, sip and savor light fare and expertly prepared cocktails at the trendy and sophisticated W Lounge, an intimate urban garden setting with expansive ceilings. You’re inside a bold, nature-inspired world of water, fire and earth elements with a flowing illustration stretching across half the room, complementing an authentic stonewall and natural hues. Mirror fragments sparkle throughout and a dynamic metal vine sculpture spans the space. Descend the grand staircase and meet by the corner fire pit or retreat to the semi-private seating area with a specially designed board game. Of simply sink into plush, oversized furniture and connect with the complimentary high-speed Internet access. When staying at the Sheraton Commander, be sure to dine at Nubar, a Harvard Square bistro with a 60-year history that's become a mainstay of the Cambridge restaurant scene. The Guleserian family has owned and operated the establishment for three generations; it's named for Edward Nubar Guleserian, a former owner of the hotel. The staff is always enthusiastic and welcoming. Some of the vegetables and herbs used in dishes are harvested from a garden right outside the backdoor. Among the poplar dinner entrees: swordfish steak grilled with bood orange, saffron and mint; Portuguese littleneck clam stew chorizo; and pork osso bucco. The fabulous desserts include cannoli ricotta sweetened with almond and orange and flourless chocolate espresso torta with raspberry sauce. Keeping you nourished and on the go is a top priority at the Hilton Boston Logan Airport. 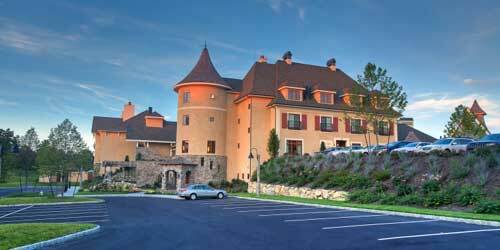 the day with breakfast a Berkshires, offering dishes like Huevos Rancheros, and a full buffet. At Cafe Presto, grab a Starbucks coffee and snack while on the run, or pack a wholesome meal for your trip. Berkshires is our breakfast cafe. Enjoy something low-fat and high-energy, like Irish steel cut oatmeal or house-made granola with berries. Or treat yourself to something more indulgent, like our Maine Lobster Towers, a New England twist on eggs benedict. For lunch or dinner, head to Connolly's Publik House and enjoy local seafood favorites -- clam chowder, lobster roll, baked scrod -- as well as stone-baked pizza, salads, and sandwiches.